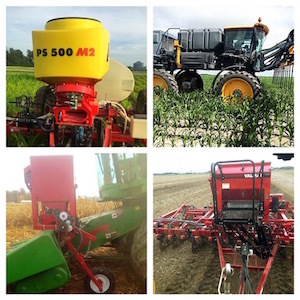 Check out the latest offerings from these exhibitors scheduled to be at the 2017 National Farm Machinery Show. Simple. Accuracy. Speed. Efficiency. The 2017 Apache Sprayer model line boasts ET custom booms as well as factory-installed 100-foot Pommier aluminum booms that provide a lightweight alternative and more configuration flexibility. Standard spray booms now use leak-proof technology, Hypro® nozzle bodies and re-engineered structural strength for rough field conditions. Plus, easily diagnose all key machine systems with new, user-friendly in-cab sprayer diagnostics programs. The state-of-the-art precision performance, the optional new Raven Hawkeye™ Application Control System provides industry-leading precision application, including nozzle-by-nozzle on/off control based on GPS and field maps. An unrivaled 5-year warranty and low cost of ownership means Apache delivers value. 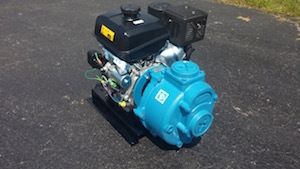 Reduce filling times with three New Next Generation centrifugal transfer pumps from CDS-John Blue Co. Two-inch self-priming models are now rated up to 200 GPM, 3-inch up to 400 GPM and the 4-by-3-inch boasts flows up to 560 GPM. 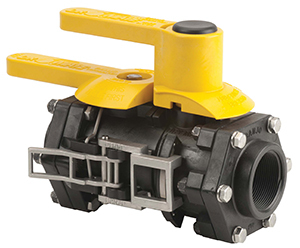 These pumps feature a new 2-in-1 inlet design (patent pending) allowing for two inlet location options. Maintenance is now easier with O-ring sealing instead of old gasket technology. These pumps also utilize the same wet seal design as previous models. Numerous features, backed by a standard 2-year warranty, makes CDS-John Blue centrifugal transfer pumps the standard in the industry. The Andersons Inc., Maumee, Ohio, have taken it one step further by expanding their low-salt liquid fertilizer portfolio. Season Pass® with AVAIL® and Season Pass Plus with AVAIL® are now offered in Diamond, GoldStart®, and Premium Grades. The different grades provide varying orthophosphate content allowing growers multiple fertilizer options that best fit their soil types and investment needs. 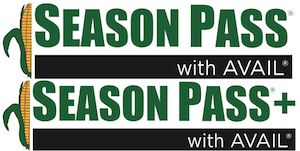 Season Pass and Season Pass Plus products deliver NPK, sulfur, EDTA chelated zinc, and AVAIL technology. These products are low-salt and non-corrosive, allowing for a trouble free application at planting. Season Pass and Season Pass Plus liquid fertilizers are recommended to be placed directly on or near the seed at a low volume rate. They may also be also be foliar applied. A&I Products offers the world's most complete selection of Ag, Turf and Industrial Products with over 160,000 part numbers available from 12 different North American warehouses. Consistently striving to add to the product offering, A&I Products now has canopies to keep you covered from the sun. Designed to fit several models, six options are available including five colored steel choices and aluminum tread plate. The durable 47-by-58-inch top provides plenty of shade. Canopies feature an insulated underside to reduce noise, vibration and heat transfer. A&I Products strives to offer high quality products at competitive prices with exemplary service. 3RIVE 3D™ is an innovative insecticide delivery platform by FMC and Micro-Trak Systems Inc. It is designed to apply Capture® 3RIVE 3D™ Insecticide, the leading liquid in-furrow brand. It features a 130-gallon water tank, a 30 gallon chemical tank, and control and blockage monitor systems. When combined with water and air, the Capture® 3RIVE 3D™ chemical expands up to 50 times in volume to provide a continuous 3D Zone of Protection in-furrow, protecting against a wide variety of seedling pests. Results prove significant improvement in yield and compelling plant stand increase when using Capture® 3RIVE 3D™. 3RIVE 3D™ allows the grower to cover up to 500 acres per fill, saving water, fuel, labor and time. Spend more time picking and less time dumping with the Schulte 5000 Titan Rock Picker. 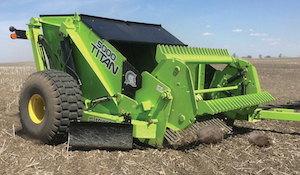 The Titan 5000 features a huge 5 cubic yard bucket (actual stone picking capacity) with big 22.5L by 16.1 14 ply tires for flotation to handle the loaded weight. A 6.5-foot-tall dump height helps create larger rock piles and truck loading. A super wide 7-foot grate with wide or narrow spacing options with 450 BHN Steel teeth and T-iron tops. A zero-maintenance Magnaloy Hytrel Flexible Coupler, helps extend the life of the motor by reducing loads on bearings and shafts. 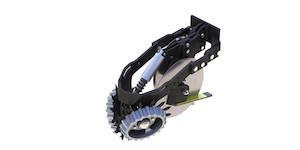 The coupler solves the alignment issue with a direct drive motor to insure smooth performance. The 5000 Titan employs separate grate and dump cylinders. The reliability of Schulte rock pickers is the result of over 50 years of experience in the rock removal field. Boasting an off-line correction of nearly 5 feet, it will deliver the same precision and sub-inch row accuracy results that have become synonymous with the ProTrakker brand. The WS9000T is specific to John Deere 9000T and 9000RT tractor models. These tractors have a wide swing mechanism that customers want to control and now can. "Just like our other hydraulic hitch models, the WS9000T can be controlled in multiple ways for the implement correction farmers are seeking," says company president Cory Miller. See our website for more information and watch it work! The Furrow Cruiser Xtreme is a cast spiked closing wheel that is made for the toughest of conditions. 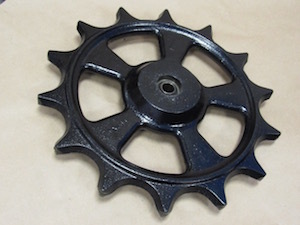 The wheel has angular teeth that will break up sidewall compaction and close the furrow. 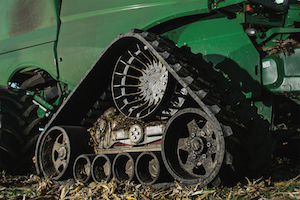 The extra weight will help the wheel to penetrate tougher field conditions. The width of the wheel will help with firming of the soil around the seed and will prohibit the wheel from rooster tailing or moving the seed. Visit our website to learn more! 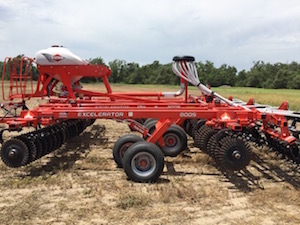 The new CCX 9000 Cover Crop Seeder for use on the Excelerator® Vertical Tillage System provides farmers the ability to establish a cover crop while performing vertical tillage, saving time and money. In the tractor cab, the Quantron S2 control monitor provides a simplified calibration process, which takes a matter of minutes. Seed settings can be saved for future use. On the Excelerator, the CCX 9000 is capable of application rates from 1 - 385 pounds per acre. 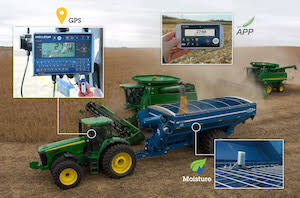 The electrically driven metering unit handles a wide range of seeds and applications using an electronic speed signal from the tractor to ensure application rates remain constant independent of forward speed. Adjust seed depth by simply angling the seed distributor plates toward the Star Wheels (deep) or toward the reel (shallow). The adjustment is made easily without wrenches. The CCX 9000 is available to order for delivery beginning July 2017 for 14- to 25-foot Excelerator 8000 models or 11 to 25 foot Excelerator 8005 models. Manage your row cleaner performance from the cab, on the go, with CleanSweep from S.I. Distributing. 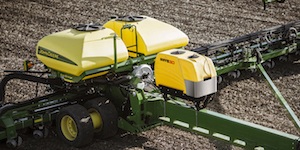 The dual air cylinder allows you to set and adjust row cleaner down pressure from the cab. Add more pressure to sweep away heavy residue or lighten the pressure to keep the row cleaner floating across the top of the soil in light residue or soft ground. The CleanSweep system includes air cylinders, air tank, compressor and controller. You set the pounds of pressure from the control box mounted in your cab. Pull, saw, dig and carry your toughest jobs. 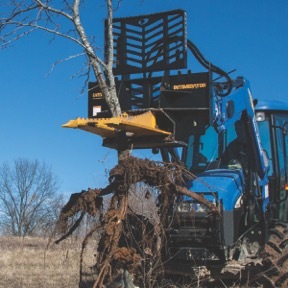 Incorporates a tree/post puller, stump bucket and rock picker all in one. Selective elimination with the ability to maneuver into tight locations and next to buildings or fences. Dig and cut roots using the replaceable excavator bucket teeth and vertical jaw saw teeth for large tree removal and/or stumps. 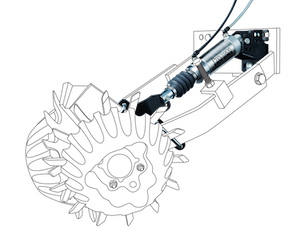 The uniquely synchronized jaws, designed for less wear and tear on the vehicle, are actuated by a rear-mounted, fully-protected 3-inch diameter cylinder. Skid-Steer and Euro/Global style quick-attach mounts available. Flat Back mount also available for custom fabrication to fit other mount styles. 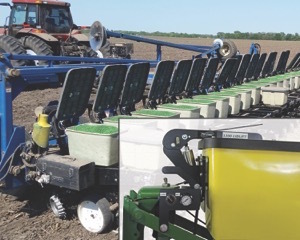 The first ever Universal Tillage® tool, the Incite 5000 Series®, provides the flexibility to adjust to different soil types and conditions from field-to-field and year-to-year. 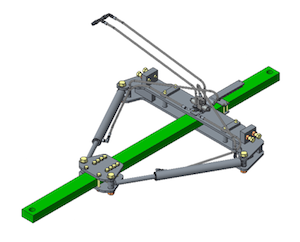 The versatility of this tool allows the operator to accomplish in a single pass what once would take multiple passes with different machines. With working widths from 14-40 feet, the Incite is loaded with innovative, user-friendly design features, such as the Universal Tillage® selector that allows for on-the-go hydraulic adjustment of disc gang angles. Field ready when you’re ready! High speeds, more performance — get into your field faster than you ever have before. Camso introduces an industry leading track system for combines with an integrated final drive system to achieve roading speeds up to 23 mph — the same as wheels! This next generation of Camso CTS is a 100% bolt-on, suspended solution. 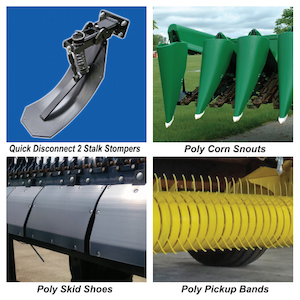 Its 12% larger footprint vs the current CTS line up delivers maximum flotation, reduces ground compaction, minimizes field damage, and increases stability, maximizing the overall efficiency and quality of your work. This is an exclusive innovation from Camso. The new McHale Orbital Wrapper harnesses the proven vertical wrapping ring technology used in the McHale Fusion to deliver a high output, low maintenance bale wrapper which is capable of keeping up with multiple balers. The Orbital Bale Wrapper can wrap bales from 3 feet 7 inches to 4 feet 9 inch with ease. The wrapping speed is around 38-40RPM and takes approximately 18 seconds to wrap four layers of film on a 4-foot bale. 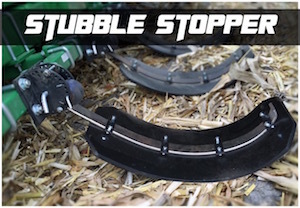 The patented tip roller adjusts its height in line with the bale size to ensure the wrapping ring always applies the plastic to the center of the bale, regardless of the bale's diameter. 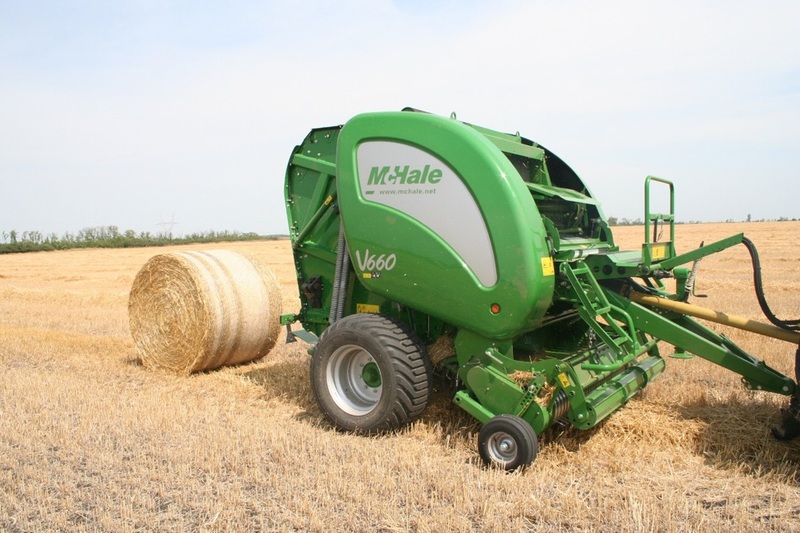 As with all McHale machines, the V660 variable chamber round baler has been designed to meet the demands of today’s high output farmers and customer operators. 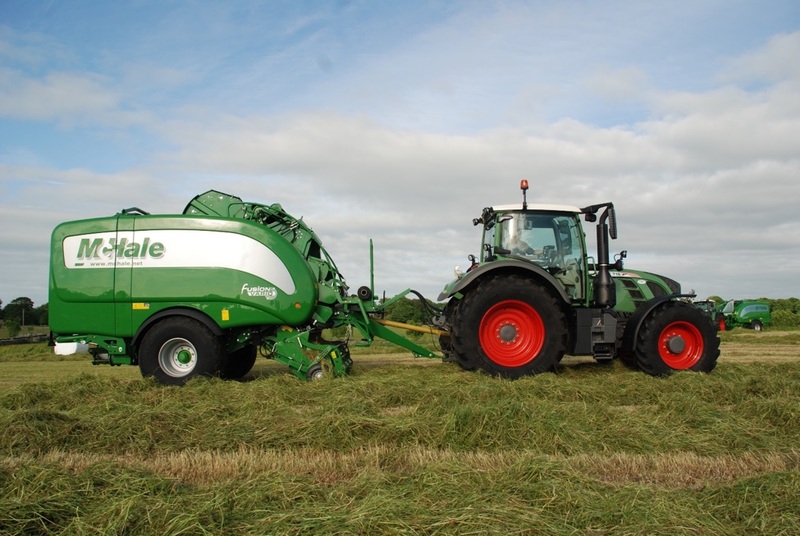 Features like the three belt variable bale chamber with double drive and the drop floor unblocking system, combined with high specification components, ensures long life, reliability and a variable chamber round baler that is rugged enough to handle the toughest of crops and ground conditions. 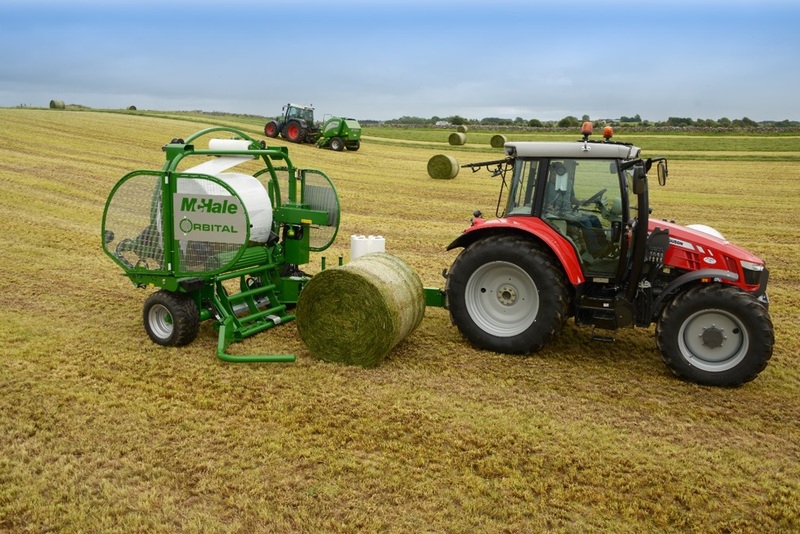 The McHale Fusion 3 high output integrated baler wrapper combines two traditionally separate jobs; baling and bale wrapping and integrates them into a single operation, which can be done by one operator and one machine. With production capabilities of 50-60 wrapped bales an hour, the patented single pass bale transfer increases productivity and reduces operation costs, hence increasing profits. Also available in the McHale Fusion product line are the Fusion 3+ and the Fusion Vario. The Fusion 3+ utilizes a film on film concept which applies plastic to the bale eliminating the need for net wrap or twine. This system forms a tighter bale while expelling more air resulting in better silage quality. The Fusion Vario features a variable chamber allowing it to wrap bales from 3 ½-5 feet. Fennig Equipment is your Cover Crop Application Headquarters! We offer seeder solutions for every seeding opportunity! Our sidedress seeder allows for early application for full season growth! The FE4R system tackles the late season interseeding of covers and fertilizers! New for this year *TO BE UNVEILED AT THE 2017 NFMS* is the CHS or Corn Head Seeder! Harvest your crop and seed covers in the same pass! And finally the Valmar option offers an array of post-harvest seeding options when matched with Vertical Tillage Machines. If you are serious about cover crops, Fennig Equipment has a seeder to fit your application needs! Mixmate chemical blending system streamlines chemical mixing with the bonus of automated records. Measure directly from jugs and bulk. Our Android app is easy to use and easy to learn. The operator only has to follow the prompts to complete the mixing, and the records are automatic. Our data connections reduce errors, lower costs, and simplify the system for users in the office and the field. Mixmate is the first system designed for the farm with data integration and portability. No other system offers the features and flexibility of Mixmate. Follow the link to learn how Mixmate lowers operating costs. The DawnBiologic ZRX hydraulic roller/crimper is a simple, effective alternative to multi-pass cover crop operations. It attaches directly to the planter toolbar, independent of the seeding unit. A rugged parallel linkage on every row allows the ZRX to closely follow ground contours, and flex over in-field obstacles. It provides efficient and thorough rolling and termination of standing green covers, from 6 ft. standing cereal rye to hairy vetch. The helical roller pulls covers and other residue away from center of the row, improving the performance of the row cleaners. 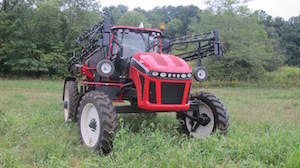 The ZRX features adjustable, hydraulic down-force, and may be controlled from the tractor cab. The ZRX's acme-screw adjust row cleaner, can clear a wide path, to mitigate alleopathic effects in corn, or just a narrow slit to maximize weed control in organic No-Till operations. 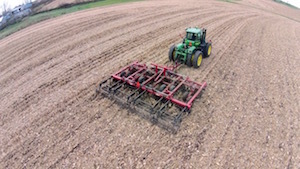 The ZRX facilitates planting into a wide variety of cover crop and No-Till conditions, and allows farmers to have confidence they can get their crop planted regardless of the weather. The DM220 models from Banjo offer full port solutions for the Dry Mate™ line. With more flow (versus standard 2" Dry Mates) and incorporating the newest design improvements that increase structural durability of the Dry Mate body and clamp arms, the DM220 is an ideal solution to minimize spillage and support high flow. Dry Mates reduce spillage by 99% when compared to cam locks, greatly reducing costs from product loss and preventing harmful chemical spillage. The Zetor Forterra series offers engine powers of up to 150 HP, which makes it a very strong alternative to rival six-cylinder tractors. Construction of Forterra tractors has been adapted accordingly - these are robust, heavyweight tractors. Due to very good torque parameters, they are appreciated as hard workers and excellent value for money. Forterra tractors are unbeatable in terms of operational costs. The Forterra HSX is equipped with the most up-to-date technology: the latest Powershuttle generation, a new five-speed gearbox with three-stage multiplier, a more powerful hydraulic system, HitchTronic three-point hitch controls, LCD display, safety driver's seat and more. This is the ultimate package of performance, endurance and total cost of ownership from Zetor. 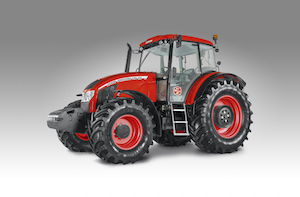 The Forterra HD is the most powerful and best equipped tractors in the Zetor portfolio. Reinforced axle drive, larger rear axle, an extended wheelbase for greater stability, with a spring-mounted front axle and cab. These combine to make Forterra HD a strong partner for high productivity. 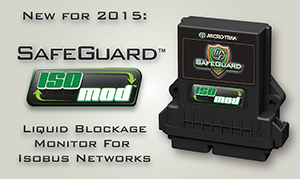 New for 2015, the SafeGuard Blockage Monitor electronically detects blockages and alerts you with an Audible Alarm and a Visual Display of the blocked row's number. Now with ISOBUS compatibility, the SafeGuard ISOmod allows an existing Virtual Terminal to display blockage information that would otherwise be displayed on a SafeGuard console. Bring state-of-the-art blockage monitoring to your Virtual Terminal system. Reduce over and under-application, save money, and apply liquid product with confidence without having to watch flow monitors or outlets. The X Series of Folding Pulverizers from Brillion recently underwent a round of updates to further enhance the clod crushing power Brillion Pulverizers are known for. These folding units now feature 8 in. roller axles and heavy-duty bearings. Wheel styles include the ever popular Notched, Optimizer®, Crowfoot and the new V-Style option. 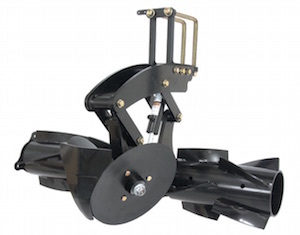 Available in working widths from 19 ft. through 46 ft., Brillion X Series of Folding Pulverizers eliminate crusting, improve water intake, enhance seed to soil contact, push down stones and anchor reside to the soil surface. 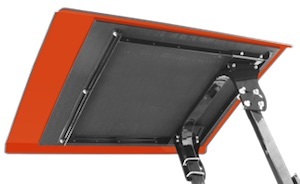 Meridian is excited to bring our version of a creep feeder to our extended product line that continues to meet all the different elements of the farm and livestock markets. 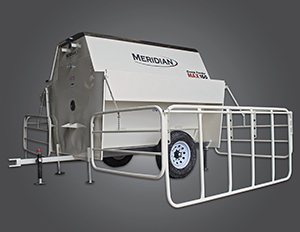 Meridian's Creep Feeder Max offers convenience and maximum durability with added features and benefits to ensure that it will stand tough through the terrain and livestock that will test it. Harvest data starts and ends with Digi-Star and the Harvest Tracker System. This easy to use, hands free system can record moisture, GPS location, weight with a time date stamp. All of the data can be seen on the new GT 560 indicator or on the Harvest Tracker App and Harvest Tracker online software. Visit us at the show or email us to learn more. Great value, simple to use, lasting durability and smart design describe the new 100 Series rotary cutters from Rhino®. 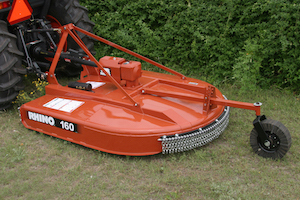 Especially designed for utility mowing operations including small ranches, estates and farms with applications that include mowing grass, weeds or small brush up to 1-1/2" in diameter, the 100 Series is an excellent value in today's single spindle rotary cutter market. Practical features include a reinforced domed deck for minimal material build up and easy cleaning, as well as a sturdy hitch with quick hitch capabilities to make attachment to the tractor a snap. 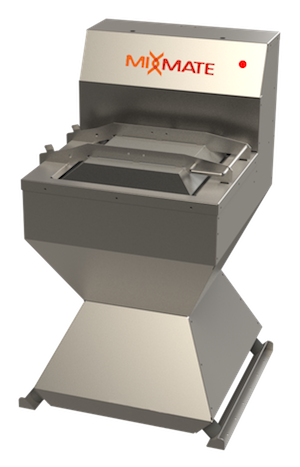 A smartly designed smooth underside of the cutter deck ensures quick and efficient material flow through the cutting chamber, delivering high cut quality. The 100 Series also features standard front and rear guarding for increased safety. KEYWORDS A&I Products camso CDS john blue Copperhead Ag Danuser Equipment Technologies fennig equipment Kuhn Krause Martin Ind. May Wes Mfg. McFarlane McHale Micro-Trak National Farm Machinery Show Poly Tech Industries Inc. Praxidyn product roundup protrakker S.I. Distributing schulte The Andersons Yetter Mfg. Co.